Esfandiary, H., Hosseini, S., Ashrafizadeh, F., Kermanpour, A. (2017). Effects of Martensite Reversion Parameters on the Formation of Nano/ultrafine Grain Structure in AISI 304L Stainless Steel. 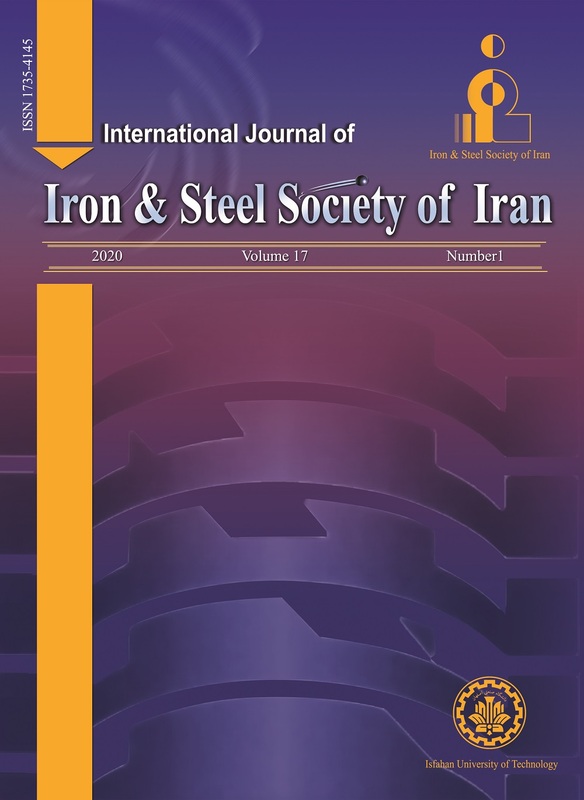 International Journal of Iron & Steel Society of Iran, 14(1), 23-29. Hojjat Esfandiary; S. R. Hosseini; F. Ashrafizadeh; A. Kermanpour. "Effects of Martensite Reversion Parameters on the Formation of Nano/ultrafine Grain Structure in AISI 304L Stainless Steel". International Journal of Iron & Steel Society of Iran, 14, 1, 2017, 23-29. Esfandiary, H., Hosseini, S., Ashrafizadeh, F., Kermanpour, A. (2017). 'Effects of Martensite Reversion Parameters on the Formation of Nano/ultrafine Grain Structure in AISI 304L Stainless Steel', International Journal of Iron & Steel Society of Iran, 14(1), pp. 23-29. Esfandiary, H., Hosseini, S., Ashrafizadeh, F., Kermanpour, A. Effects of Martensite Reversion Parameters on the Formation of Nano/ultrafine Grain Structure in AISI 304L Stainless Steel. International Journal of Iron & Steel Society of Iran, 2017; 14(1): 23-29. Formation of nano/ultrafine grain structure in AISI 304L austenitic stainless steel through the martensite reversion treatment was studied. The solution annealed specimens were cold rolled up to 95 % thickness reduction at -15°C. The cold-rolled specimens were subjected to reversion annealing treatment at the temperature range of 700-1000 °C for 10–150 min. Microstructural evolutions were analyzed using ferritscopy, X-ray diffraction, and field emission scanning electron microscopy techniques, whereas mechanical properties were determined by hardness test. The saturation strain during cold rolling was about 56 % reduction. The mean austenite grain size of 135 nm was obtained by 95 % cold reduction and annealing at 700 °C for 10 min. It was found that increasing cold reduction resulted in grain refinement at the same condition of reversion annealing and higher hardness.